Success! 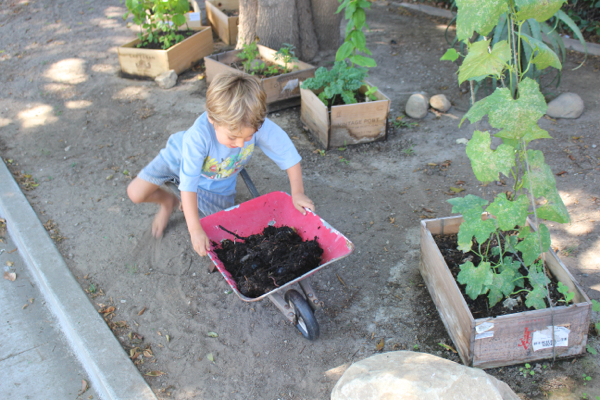 By far my favorite garden project of 2014, and a tutorial so easy it barely needs words. We planted sponges in our back yard and they totally grew. It worked! Amazing. 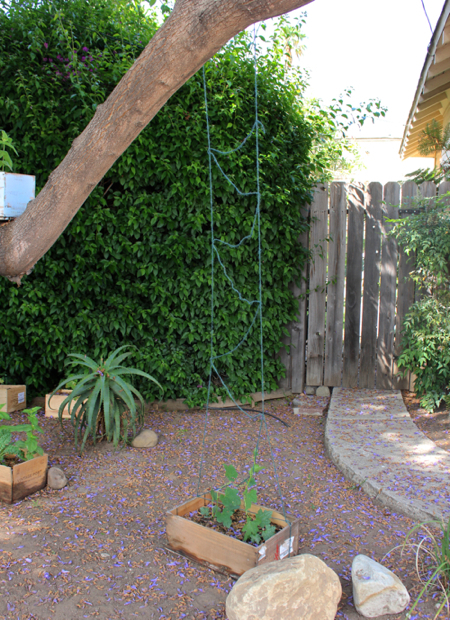 A pair of seeds planted in a wine box under the jacaranda tree, with a hand-knotted twine trellis. A little compost here and there. 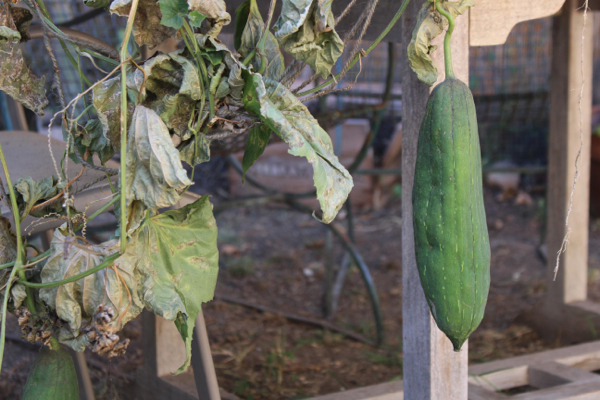 Luffa gourds look a bit like a cucumber, but they take a lot longer to mature. These guys sprouted in early spring but weren’t close to ready until early fall. Un-trellised and moved to the back table to finish off. 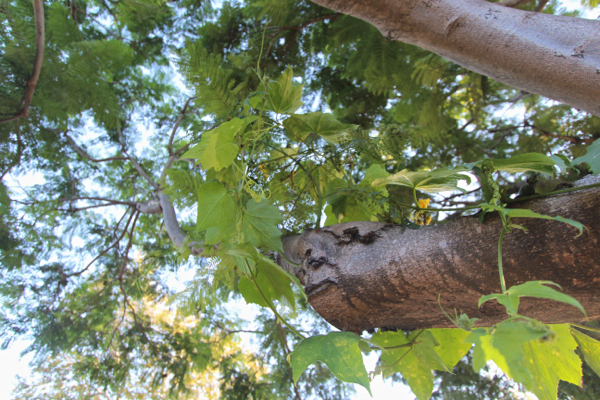 They like to dry out completely on the vine. And when they’re totally dry, they’ll be light as a feather and shakey like a rattle. 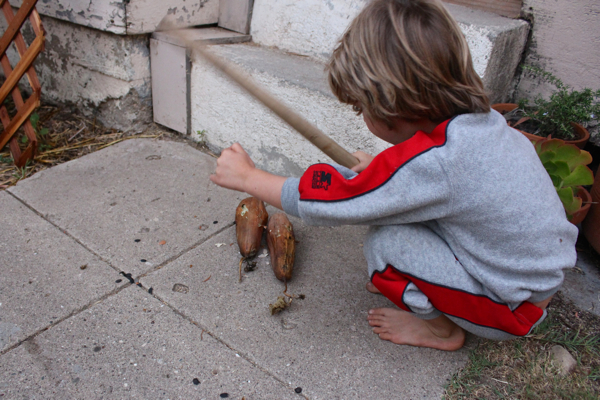 Smash ‘em with a stick! 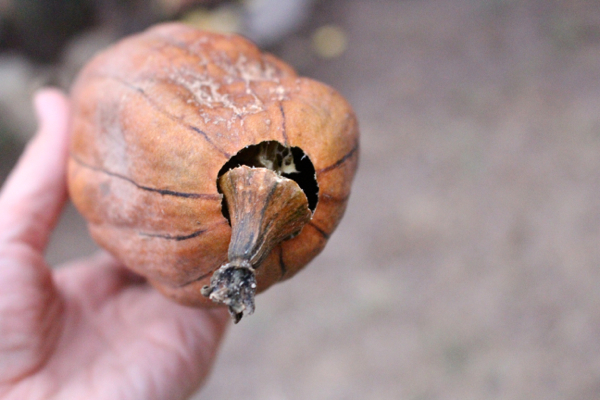 And peel off the shell. And there you have it, a homegrown sponge to use for your shower, your housework, or your kitchen sink. Seriously, could it possibly get more natural, more eco-friendly, more sustainable than that? Oh yeah wait, it could! 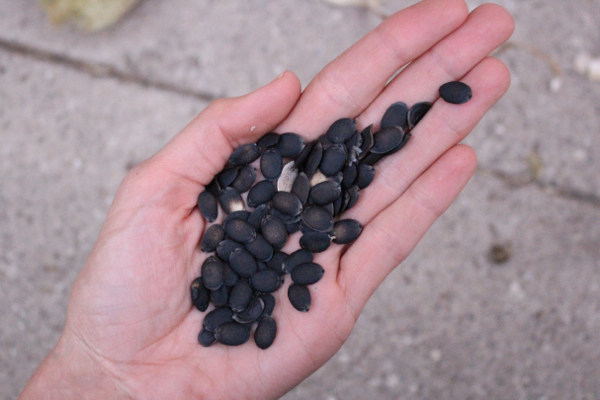 Don’t forget to save the seeds for next year! 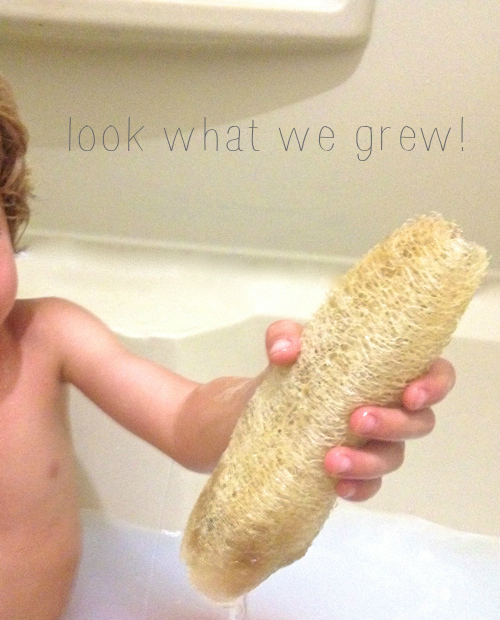 Growing my own luffa sponges is definitely something I’ll be doing annually, forevermore. And I hope you’ll consider doing it too. 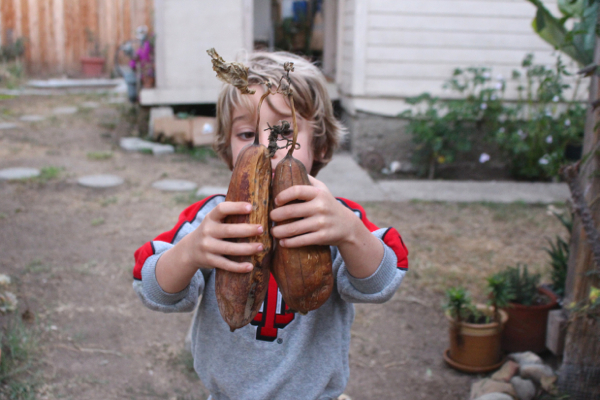 If you want to order your own luffa seeds, I highly recommend the fine folks over at Baker Creek – keepers of heirloom seed strains. They’re good people and very much worth supporting. This is an especially great post. I never understood where they came from. I’ll def give this a try this coming summer. Hooray for Baker Creek too! We’ve been doing this for years, I never think to tell anyone about it! Happy to see your tutorial. And especially happy to see Baker Creek Seeds getting a shout out – I just ordered my garlic from them a few weeks ago! I have years’ worth of their catalogs, too pretty to ever recycle. 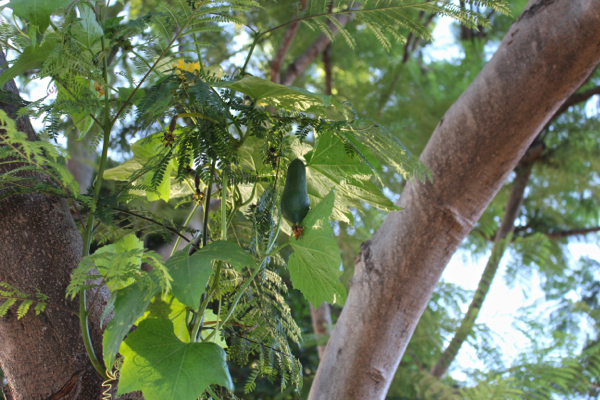 I, too, had that *d’oh* moment of realizing there was a luffa plant! 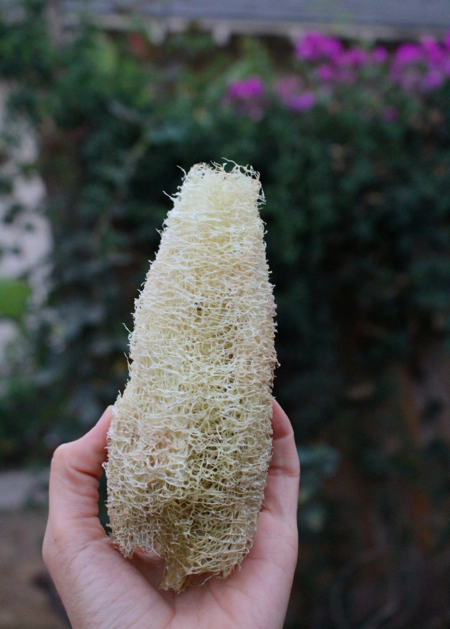 Let me know if you find any methods for growing luffa on apartment balconies (too lazy to Google search right now). Monika, you had replied to a comment of mine weeks ago regarding Ag-gag legislation and I was too wrapped up in the animal law conference to respond (I mean, Will Potter. Hello!). I just wanted to send along a note to let you know that it was a fantastic conference — do take advantage of your law school’s SALDF chapter to attend (I believe our chapter received a decent amount of funding, plus heavily subsidized conference admission). Also, if you ever want any tips/tricks for surviving the slog that is law school, holla. I’d be happy to provide any pearls of wisdom that I may have. I just heard of these about a month ago! Good to know it’s something a home gardener can do :). Love Baker Creek Seeds. 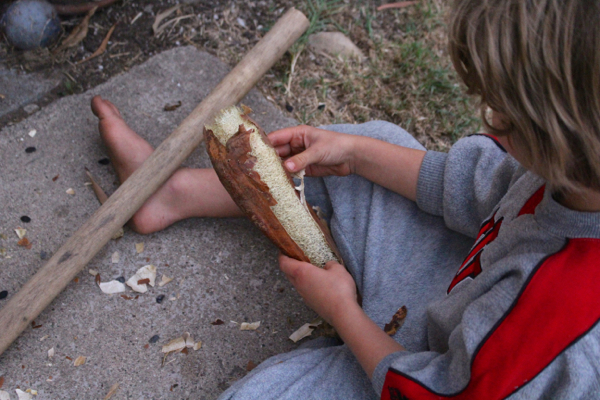 You can eat the fruits when they’re young, too! Definitely better than those sea sponge critters! I might have to give this a try next year. Dude. I had no idea this was even possible. You’ve just blown my mind! Completely unrelated to everything! 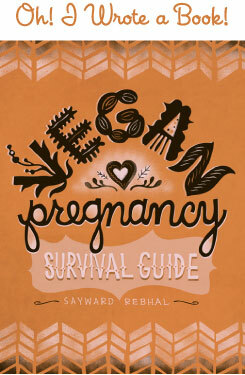 Do you have a favorite vegan caramel sauce recipe that you’d be willing to share? I found a great “cheesecake” that needs a sauce! Thank you for this link, Lisa! It will give me something to watch while I catch my breath before finals. I definitely plan on taking advantage of SALDF funds in the future. Ugh. 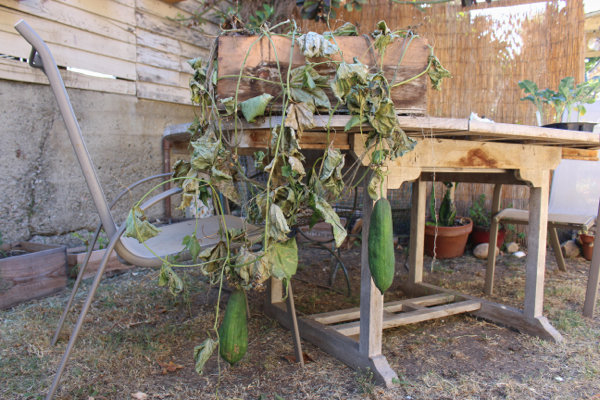 The Oregonian in me is so jealous of your SoCal luffa growing weather that I’m actually giving you side eye right now. LOL Just kidding. This is super cool and I wish I could grow it here! Along with my favorite flower–bougainvillea! All of it just doesn’t love the rain. Can I also just say that you honestly have one of the most beautiful little boys I’ve ever seen? He is radiant and I almost feel like I can sense his personality through some of the pictures you post. He has very bright eyes.